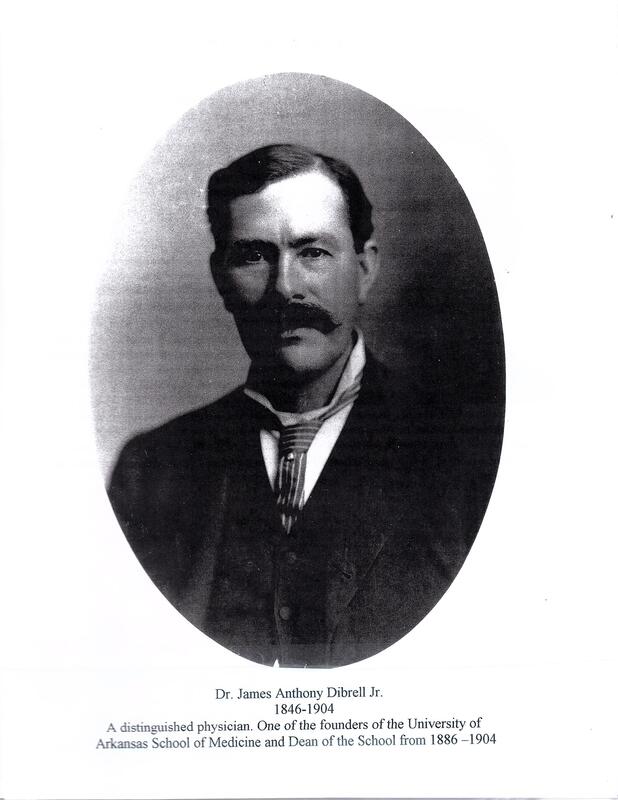 Dr. James A. Dibrell, Jr.
Arkansas Country Doctor Museum > Dr. James A. Dibrell, Jr.
Dr. James A. Dibrell, JR. was born in 1846 to Dr. James A. Dibrell, SR. He was instrumental in establishing the current University of Arkansas Department of Medicine. He became its first Dean of Medicine. He passed away in 1904.